Computer Virtualization, Software Specification, Procurement & Installation – Portland Engineering, Inc.
Virtualization, in computing, refers to the act of creating a virtual (rather than actual) version of a computer hardware platform, operating system (OS), storage device, or computer network resources. Portland Engineering hardware virtualization or platform virtualization refers to the creation of a virtual machine that acts like a real computer with an operating system. Software executed on these virtual machines is separated from the underlying hardware resources. For example, a computer that is running Microsoft Windows may host a virtual machine that looks like a computer with the Linux operating system. Hardware virtualization can be viewed as part of an overall trend in enterprise IT that includes autonomic computing, a scenario in which the IT environment will be able to manage itself based on perceived activity, and utility computing, in which computer processing power is seen as a utility that clients can pay for only as needed. The usual goal of virtualization is to centralize administrative tasks while improving scalability and overall hardware-resource utilization. With virtualization, several operating systems can be run in parallel on a single central processing unit (CPU). This parallelism tends to reduce overhead costs and differs from multitasking, which involves running several programs on the same OS. Using virtualization, an enterprise can better manage updates and rapid changes to the operating system and applications without disrupting the user. 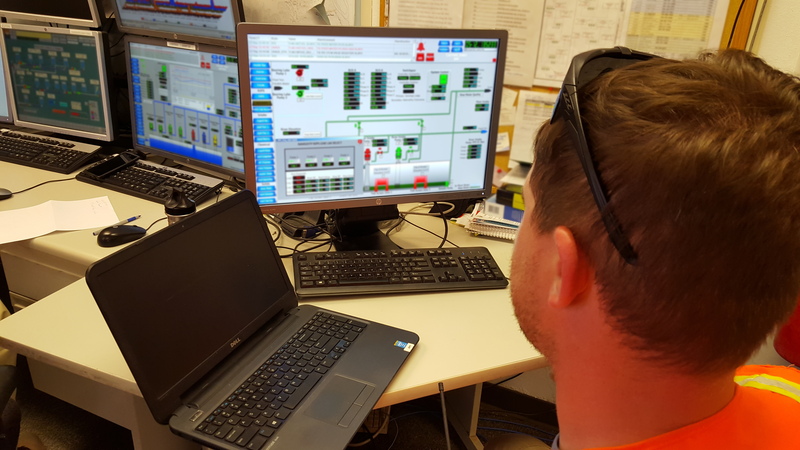 Virtualization dramatically improves the efficiency and availability of resources and applications in a control system. Instead of relying on the old model of one server/one application that leads to underutilized resources, virtual resources are dynamically applied to meet business needs without any excess fat. 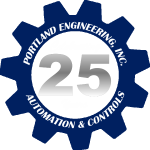 Virtualization and Industrial Control System Design and Engineering are emerging ICS technology and Portland Engineering is your definitive resource for all things virtual. If you are interested in learning more or seeing a virtual system in practice, please contact us to make an appointment. Service Virtualization; Software Specification, Procurement, Installation & Configuration; Disaster Recovery Systems; Fault Tolerant Systems; System Migration; Machine Design, Control, Repair & Maintenance.